The 2017 Marin Equity Summit was held on Thursday, November 9th. This was the second annual equity summit focused specifically on disparities in Marin County. Over 200 people attended the summit to listen to powerful and inspiring speakers, and to hold discussions about aspects of inequity in Marin. The ultimate goal for the day was mapping out a Living Equity Agenda for the next year. This is a "sneak peak" at the draft report on options for Golden Gate Village, Marin City. The challenges are great. The causes of the decline in the condition of Golden Gate Village and the wide disparity between conditions in Marin City and the rest of the County are outlined. The community has come together to fight for the preservation of the community and prevent displacement. Funding remains an issue and it's clear that no cookie-cutter approach will do the job. Please read this with an eye towards how can Marin City survive and thrive. This video was produced by a Dominican University student. Click on the image to view. Late last fall, the Metropolitan Transportation Commission (MTC) took the first steps toward the development of a regional, nine-county Bay Area housing strategy with the approval of a new task force coined CASA — the Committee to House the Bay Area. With this action, MTC has stepped into a leadership role around housing, working to respond to supply, affordability, and displacement/gentrification, all issues of concern to the region. Description: Dr. Bamberger will present on how the healthcare system can invest in housing to improve outcome for people living with homelessness, mental illness and chronic medical conditions. Examples from a 9 community study will be highlighted. Hot from the Press! The Spring 2017 issue of Pathways Magazine is now available from the Stanford Center on Poverty and Inequality. One simple question was asked: How might poverty be addressed if the usual political constraints were set aside? Six distinguished commentators weigh in with their thought provoking essays. Read the magazine pdf, click here. Here is another great event, ending the school to prison pipeline with restorative justice programs, please share as we continue the "equity" dialogue in Marin. 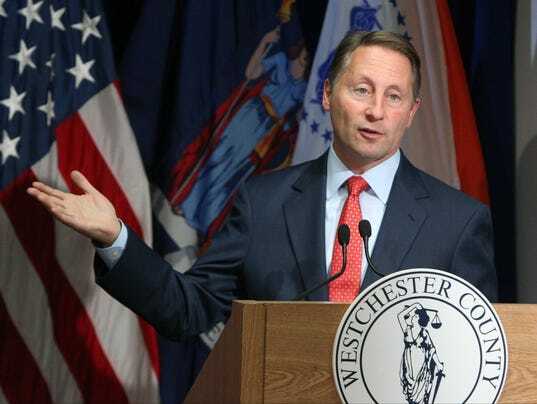 Tax Watch columnist David McKay Wilson explores how President Donald Trump's HUD department issued a rejection to Westchester County's fair housing legal battle. via Red Cards | Immigrant Legal Resource Center – ILRC. The Red Cards were created to help both citizens and noncitizens defend themselves against constitutional violations during ICE raids. These cards provide citizens and noncitizens with information about how to assert their constitution rights and an explanation for ICE agents that the individuals are indeed asserting their constitutional rights. The Marin Equity Summit, a yearly Marin event looking deeply at the issue of equity in Marin, is in preparation for this year’s event and the workshops that will lead up to the summit (currently targeted for November).